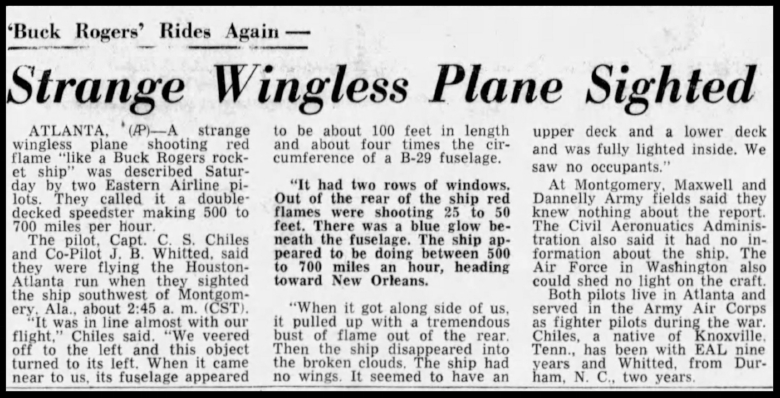 "Wingless Plane". Beatrice Daily Sun. Wed Nov. 12 , 1952. 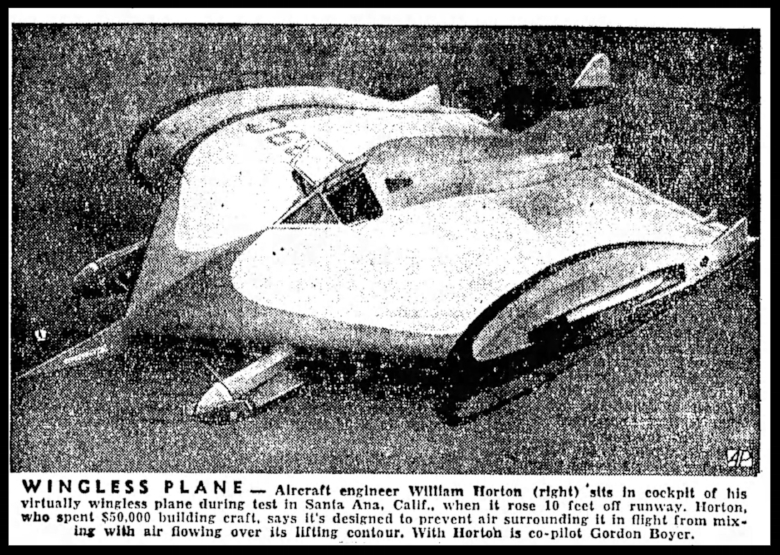 The Horton Wingless aircraft was invented by William Horton of Huntington Beach, California in 1952. 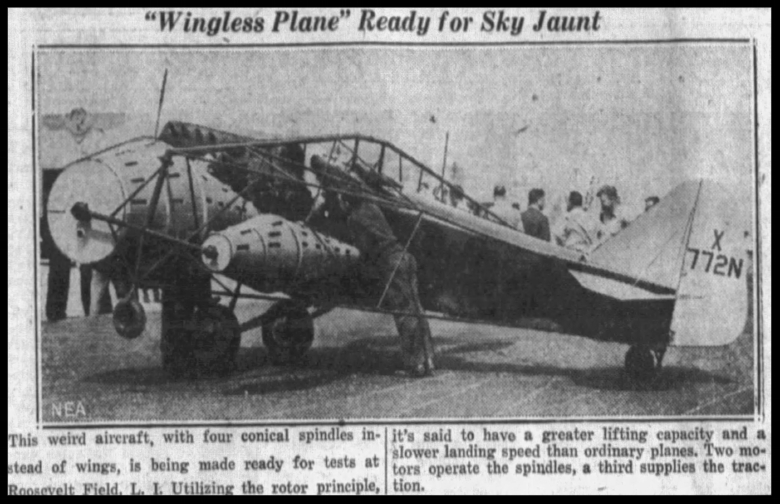 He called the strange-looking plane “wingless” because he claimed the entire craft was a simple air foil with vertical fins and utilized all surfaces for lift. 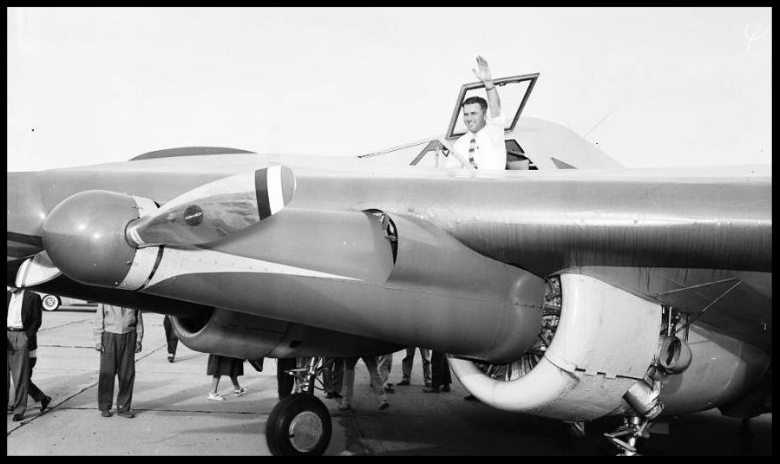 Unfortunately, Horton did not have the money to develop it, but was able to get into a partnership with billionaire Howard Hughes and Harlow Curtis. The plane was test-flown but not more than 1000 feet down the runway. 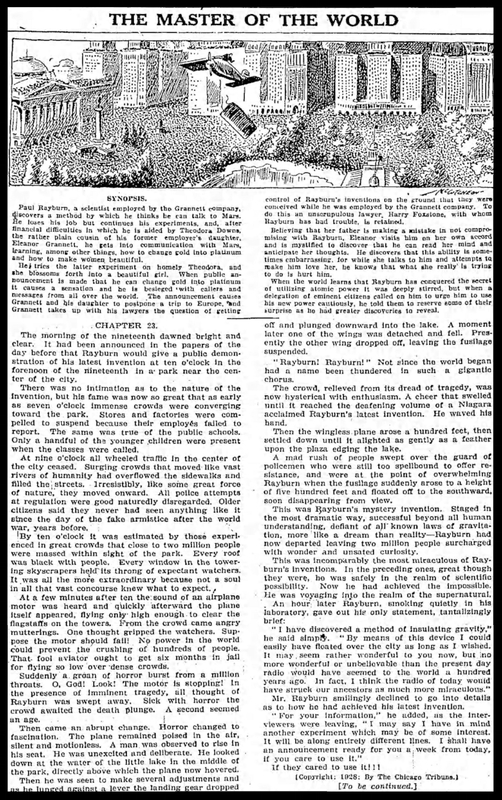 The venture failed not because the airplane didn't fly, but because Hughes wanted to take full credit for the patents and production rights, which Horton refused to allow. Hughes sued Horton which effectively stopped any further development of the aircraft. "New Kind of Bird". Independent Press Telegram Sep. 20, 1953. Wingless aircraft (Horton Wingless Airplane), 1954. 'Horton Wingless' airplane at Orange County airport. Plane in flight." "The Master of the World". Chicago Tribune Sun . Apr. 8, 1928. "The conclusion of the space shuttle program brought to a close an era that opened in the high desert of Southern California almost a half century earlier when the first of a series of low lift-over-drag wingless lifting bodies made its first free flight. The vehicle that began the era – the M2-F1 – was an unlikely forerunner to the shuttle. The world's first manned lifting body, the M2-F1 was made of wood, had an internal framework of steel tubes, looked like a bathtub sitting on a tricycle, and had no wings. Conceived by NASA engineers at the Ames Research Center near San Jose, Calif., the lifting body was intended as an alternative to a capsule spacecraft, which returned to Earth dangling under a parachute. 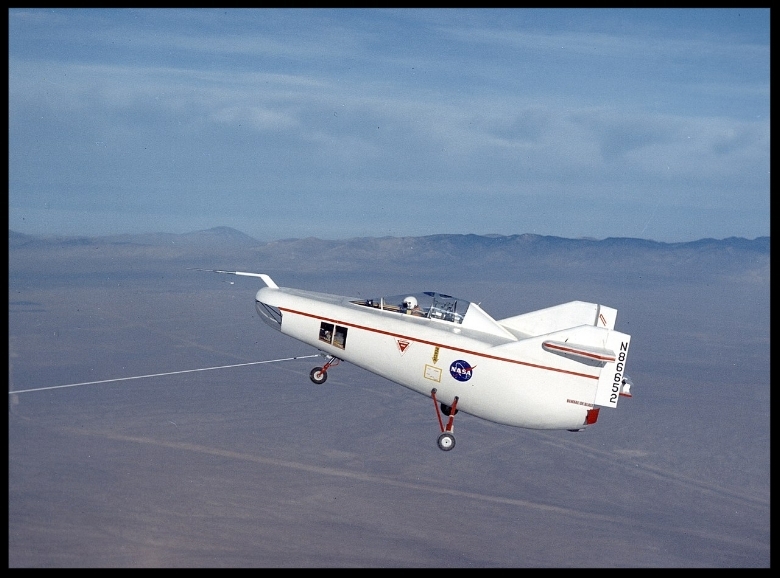 A lifting body was not a conventional winged aircraft but rather used air flowing over its fuselage to generate lift. This design allowed it to re-enter the atmosphere and land on a runway like a conventional airplane. "Stewart began his NASA career in the Research Division, working on key programs like the Lunar Landing Research Vehicle (LLRV). He transferred to Operations Engineering and eventually to the Battery Shop, where he became the subject matter expert on storage batteries and their charging. At the time, the lifting body aircraft were completely battery powered, and Al Stewart played a key role in all lifting body flights. The lifting body aircraft were the precursors to the Space Shuttles. Iliff was key in formulating, perfecting, and advancing the science and technology of aircraft parameter estimation – how to formulate questions about aircraft performance once the answers are known, or how to determine "why" when the "what happens" is known. Dale Reed was a distinguished NASA aeronautics researcher who pioneered lifting body and remotely piloted research aircraft programs. He conducted research at the then Dryden Flight Research Center for almost 52 years". 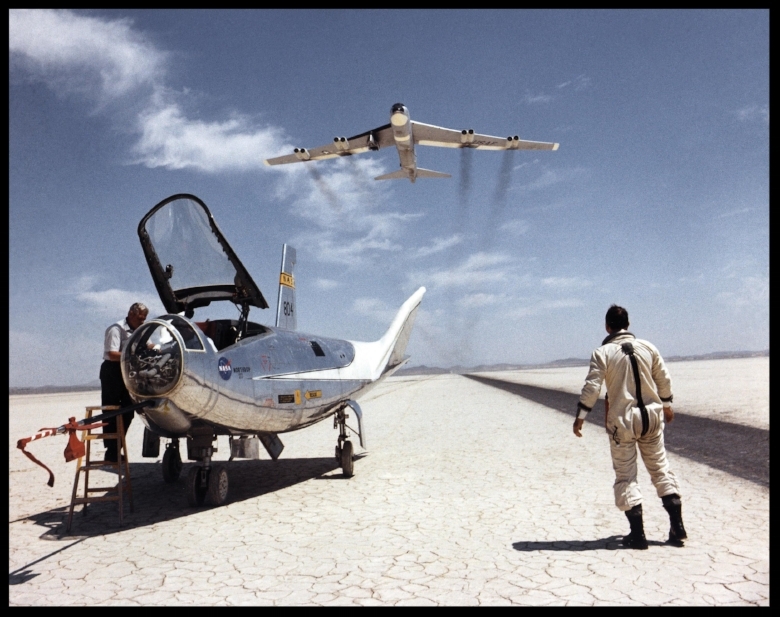 After the M2-F1 (left) proved the lifting-body concept, NASA and the Air Force began work on a series of heavyweight, rocket-powered lifting bodies able to reach supersonic speeds and altitudes up to 90,000 feet. The M2-F2 (on the right) was the first of these heavyweights. A fleet of lifting bodies flown at the NASA Flight Research Center (FRC, now Armstrong), Edwards, CA, from 1963 to 1975 demonstrated the ability of pilots to maneuver (in the atmosphere) and safely land a wingless vehicle. These unique research vehicles, with their unconventional aerodynamic shapes, were the M2-F1, M2-F2, M2-F3, HL-10, X-24A, and the X-24B. The information the lifting body program generated contributed to the data base that led to development of the Space Shuttle Program. The original idea of lifting bodies was conceived about 1957 by Dr. Alfred J. Eggers Jr., then the assistant director for Research and Development Analysis and Planning at what later became the NASA Ames Research Center, Moffett Field, CA (then called the Ames Aeronautical Laboratory). Eggers found that by slightly modifying a symmetrical nose cone shape, aerodynamic lift could be produced. This lift would enable the modified shape to fly back from space rather than plunge to Earth in a ballistic trajectory. 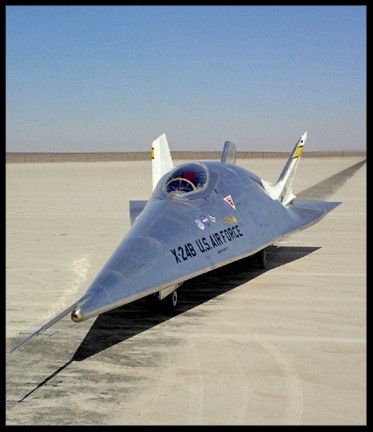 In 1962, FRC Director Paul Bikle approved a program to build a lightweight, unpowered lifting body as a prototype to flight test the wingless concept. Construction was completed in 1963. The first flight tests were over Rogers Dry Lake at the end of a tow rope attached to a hopped-up Pontiac convertible driven at speeds up to about 120 mph. These initial tests produced enough flight data about the M2-F1 to proceed with flights behind a NASA R4D tow plane at greater speeds. Air force X-24. Ames Daily Tribune Tue Jan 3, 1967.